← Are you going to Disney World this summer? You are going to want to read this. Hello. 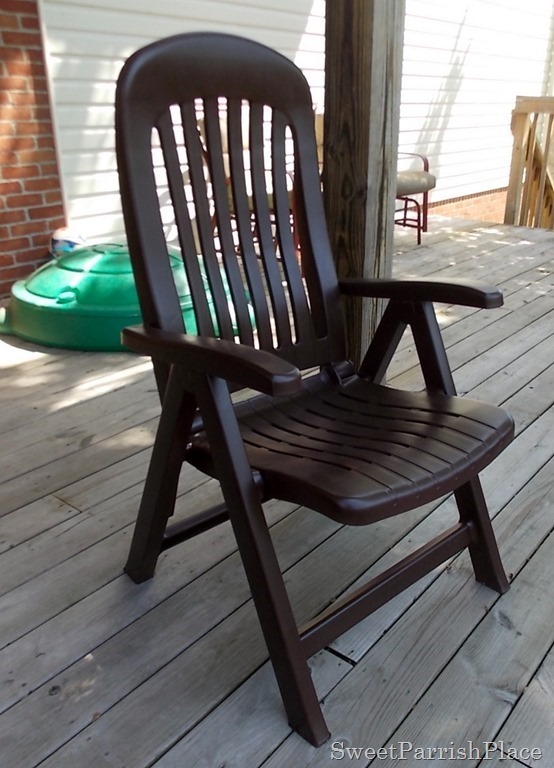 You may have seen my post when I painted my white patio chairs. The backs differ slightly and I like that. 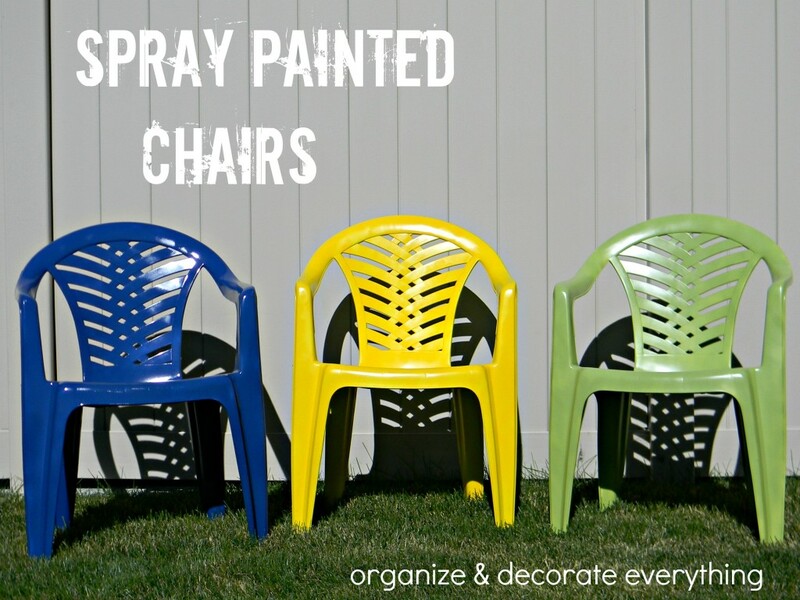 These projects are a beginner level so even if you have never painted anything give it a try. 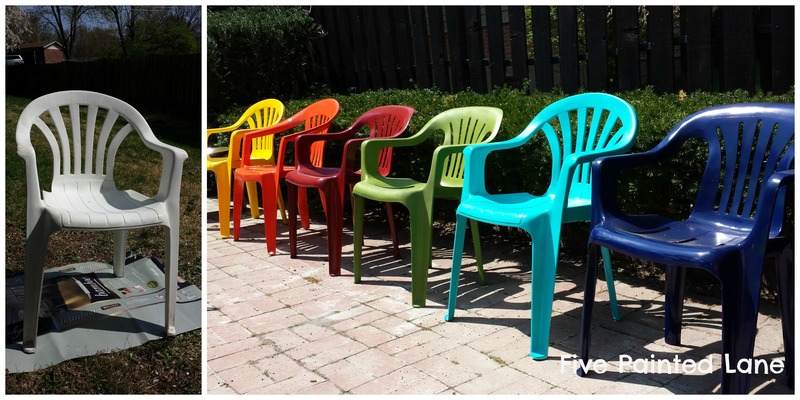 This really nice lady named Leanne over at http://organizeyourstuffnow.com/wordpress/colorful-outdoor-chairs spray painted some chairs too. She was in a bright color mood as well and I like the back design of these chairs. Didn’t they turn out great? Sometimes a more subdued color is in order. 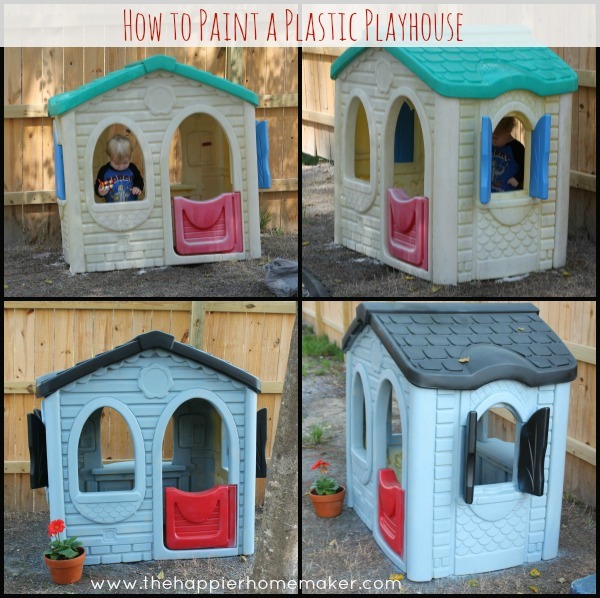 http://sweetparrishplace.blogspot.com/2014/06/trashtastic-tuesday-painting-plastic.html went with a dark brown. This formerly green chair now has a fresh modern feel. These plastic chairs are adjustable and foldable. I have not found this style while thrifting. She was smart to save these. I also painted two plastic side tables. using the metal look spray paints. If you haven’t had fun with the metal spray paints, what are you waiting for? Fun and easy. 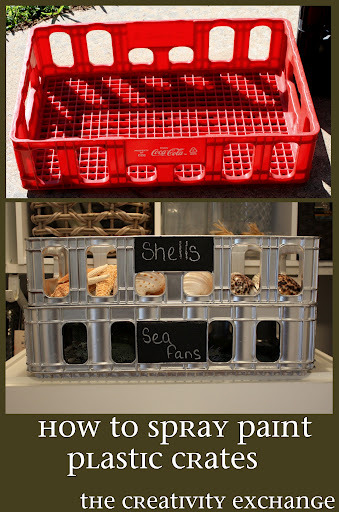 Just look at http://www.thecreativityexchange.com/?s=crates to see Cyndy sharing her ideas with some silver spray paint. Her blog is sure to inspire you. Here is another incredibly fun metal paint project. If it is plastic you can paint it. Now get ready for these. You will not look at these sun faded curb side items the same again. Isn’t this wonderful? She like me has all boys and yeah goodbye pink door. Better than brand new because mom put some love into it. Well once the kids have a freshly painted home what is a mom to do? Molly pimped her kids ride. 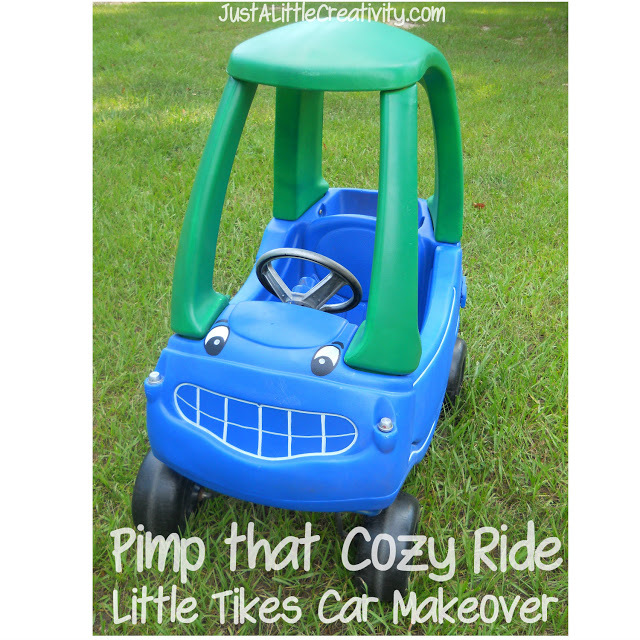 http://www.justalittlecreativity.com/2011/09/pimp-that-cozy-ride-little-tikes-car.html That is so stinkin’ cute! I hope you enjoyed these as much as I did. 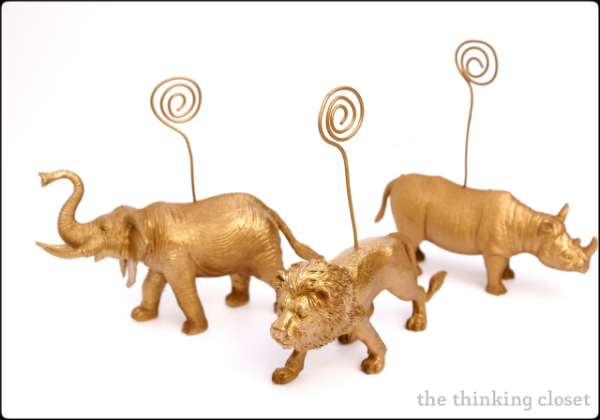 Thanks for featuring my plastic animal place-card holders! Oh so honored! Love the wealth of inspiration you’ve gathered here, Michelle. Great post! Thanks for including my chairs! I’m with you – that plastic paint is the best thing ever. I painted vinyl with it and crossed my fingers. So far so good! And you can never have too much bling. Working on my 3rd project with the metallic….your DIYs look great! 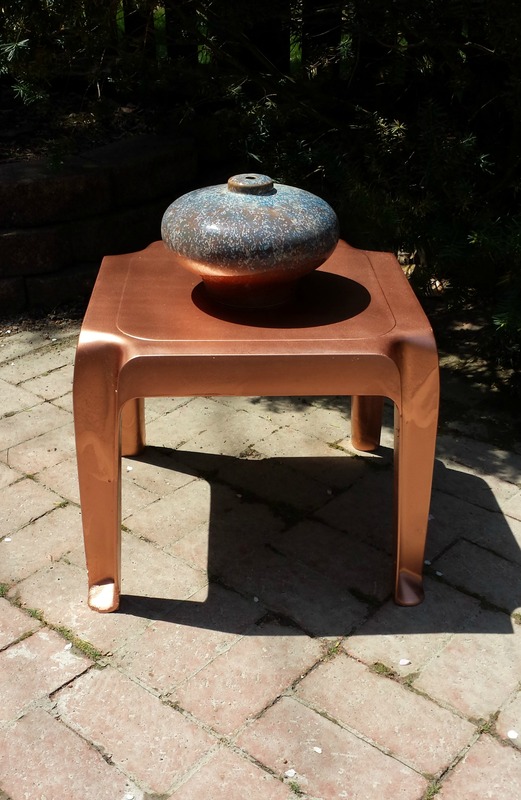 Cool post, and thanks for featuring one of my chairs!